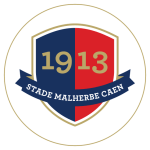 SM Caen vs AS Saint-Étienne predictions for this Ligue 1 clash as the hosts continue their desperate search for points as the threat of relegation continues to grow in size and immediacy. Étienne will look at Caen as pretty favourable opponents to play as back-to-back defeats have damaged their European football hopes. Read on for our free betting tips and match preview. Caen currently sit second from bottom with the slimmest of points keeping them away from Guingamp who are propping up the league table. Fabien Mercadal’s first year in Ligue 1 management hasn’t gone to plan so the club recently appointed Rolland Courbis as his assistant. Courbis has over 800 matches of experience as a manager but he hasn’t been able to show it as Caen have faced a series of extremely tough opponents since the Frenchman joined. Their last three games have been Rennes, Lyon and PSG which would be a tough run of games for any team let alone one battling for survival. Understandably they lost each of these but the performances were better as they scored in each game, the most notable being the one against Paris where they held the champions until the 87th minute before Kylian Mbappe worked his magic and snatched the three points for PSG. More poor luck came last week as they went 1-0 up away to a confident Rennes side before Yoel Armougom got stupidly sent off 15 minutes later. This opened the flood gates and allowed Rennes to score three but it at least showed there are semblances of quality and fight still in this team. They face another difficult opponent here though in Étienne and definitely have their work cut out for them. It was a horrible performance from Étienne last weekend as they were dominated by Lille for most of the game, conceding eight shots on target and replying with just one. They managed to hold les Dogues to just a single goal but this was more down to the excellence of Stéphane Ruffier in-between the posts rather than any defensive tact from Étienne. They are currently trying to qualify for Europe with them 6th on goal difference but they have made this coming fixture a much more difficult one as Mathieu Debuchy and Wahbi Khazri both were sent off in the dying minutes of the Lille match. With this adding to the fact that they have now conceded 20 shots on target in their last four games, there is quite a lot of trepidation ahead of this fixture. They have scored just once in their last four games, even Caen boast a better record and they have the 4th worst attacking record in the league. Jean-Louis Gasset’s men just look bereft of ideas and with them barely managing to beat 18th placed Dijon a few weeks ago (1-0), Caen should be licking their lips ahead of this game. Despite Caen’s horrible season thus far, at home they have for the most part managed to keep it together, even against larger teams. They have only lost by more than a one goal margin once but with Étienne out-of-form and weakened through suspensions, they should fancy their chances. Caen really gave PSG a good game last time at the Stade Michel d’Ornano and while they were unfortunate last week with their early red card, they have scored in their last four matches. 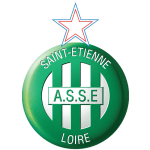 Étienne have only won two of their last ten on the road and after they were battered last week with a full squad, we’re backing them to lose with a weakened starting eleven this time round. Caen are in desperate need of points and while the opponents are tough, we’re going to back the home side to win 1-0. Étienne have scored just once in their last four games and with them without their top scorer Khazri for this match, we can see the relegation threatened team getting the three points. Caen have won only one of their last 20 games in Ligue 1 (D7 L12), 2-1 against Toulouse in December. St Etienne have lost five of their last eight games in Ligue 1 (W2 D1), already one more than in their first 20 this season (W10 D6 L4). Caen have lost seven of their last nine home games in Ligue 1 (W1 D1). Since 2017-18, they have lost 14 home games in the top-flight, more than any other team. St Etienne have won only two of their last 10 away games in Ligue 1 (D3 L5), 1-0 at Guingamp in January and 1-0 at Dijon in February. Only Monaco (7) have picked up more red cards than Caen and St Etienne (6 each) in Ligue 1 this season. Caen have conceded four direct free-kick goals in Ligue 1 this season, more than any other team. Fayçal Fajr has been involved in three of Caen’s last five goals at home in Ligue 1 (1 goal, 2 assists). Robert Beric has been involved in two of St Etienne’s last three goals in Ligue 1 (1 goal, 1 assist). He has not scored or assisted a goal in his last three games in the top-flight, after being involved in three goals in his previous three (2 goals, 1 assist).